In this guide I’m looking at the Best VPN extensions for Firefox. If you’re confused by all the options, don’t have time to search around or just want pointing in the right direction, this guide is for you. VPN services are great but on their own, they can feel a little bulky. Often you won’t want to be using a fully-fledged VPN app that protects your entire connection but instead one that adds protection simply to your web-browsing. This is where VPN extensions have come in and while many are made for Chrome there is a good selection for Firefox too. Finding the Best Firefox VPN extension can be difficult but after testing more than I care to remember I’ve come to the conclusion that ExpressVPN is about the best out there. You certainly won’t just want 1 choice though or to just take my word for it so here are the Top 5 Best VPN extensions for FireFox that you’ll want to check out. ExpressVPN’s Firefox extension looks much the same as their full desktop app so if you’ve used that you won’t have any trouble navigating the extension. I found it to work well, simply activate it from the top corner of Firefox, select a country and hit connect. I especially like the fact that the extension protects against certain leaks such as DNS leaks and WebRTC protection. Couple that with the built-in Kill Switch and you’ve got a pretty feature packed extension. Many other services just get you connected so these extra security features are a bonus. The extension will also help you spoof your geolocation to match the VPN server you’ve connected to, this should thwart even the most invasive tracking. As a bonus you should be able to unblock most streaming websites too! NordVPN comes a very close second in quality as a VPN plugin for Firefox. Just like the ExpressVPN Firefox VPN extension, there are plenty of options here to keep you secure. Connecting is simple within a few clicks but it’s the extras that make NordVPN stand out. Not only does the Firefox VPN extension protect you from various leaks but it also has an ad and malware blocker built in. This may be overkill for some but if you want extra protection against online threats then the NordVPN Firefox extension covers most angles. They’re also pretty cheap too, especially if you sign up for 2 years. Couple that with being able to use the service on 6 devices and a 30-day money back guarantee and you’ve got a great VPN extension for Firefox. CyberGhost VPN’s Firefox extension is another up there in the design stakes. Connection is quick and painless. Simply activate the Firefox VPN addon from the menu of Firefox, choose a country and press Connect. The Firefox VPN extension from CyberGhost VPN takes care of everything else. One negative of the Firefox VPN plugin from CyberGhost is it doesn’t protect against some of the more common leaking issues such as WebRTC and Flash leaks. This means your IP Address isn’t as secure as it could be by using one of the earlier providers. On the plus side the VPN plugin for Firefox will protect against some malicious content. If the leaks are a deal-breaker then you would be best sticking with ExpressVPN or NordVPN above. 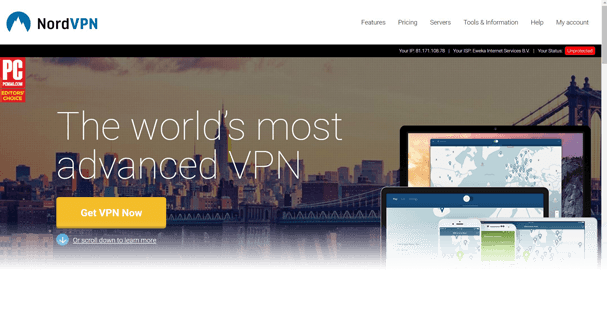 VPN.ac offers one of the best VPN services and in my tests I’ve found them to be faster and more reliable than most. It’s no surprise then that their FireFox VPN extension is one of the best available. Like the other providers simply select a country from the Firefox extension in the menu and hit Connect. Your Firefox connection is then secure. One of the benefits of VPN.ac’s Firefox VPN plugin is that it can help you beat Firewall and DPI issues. The Firefox VPN extension doesn’t trigger alerts like a fully fledged VPN client might allowing you to beat certain restrictions. On top of that, you can use the one service on up to 6 devices at the same time so not only can you secure Firefox via their VPN extension but you can also shore up the security of your other devices too. ibVPN rounds up my selection of best VPN services for use with Firefox. They’re another premium provider that offers a good Firefox VPN extension which mirrors their main app. Simply select from one of their 47 countries or individual locations and connect. Your Firefox connection is then secure. Even websites that don’t employ HTTPs are protected over your portion of the connection. ibVPN has a guest mode which has limited access to their service allowing you to trial the Firefox VPN extension before signing up and parting with your money. Even if you do choose to sign up for the full service they have a 15-day money back guarantee letting you change your mind. Choosing a Firefox VPN addon or extension can be a difficult task. There are plenty of services that claim to be ‘free’ but are anything but. Often these extensions are doing extra things in the background that you wouldn’t expect or storing details on you to pay for their service. It’s my recommendation and others in the security industry that you only use Firefox VPN extensions from trusted and reputable VPN companies. This means paying for a service. Thankfully though with so much competition it means that VPN services are now cheaper than they ever were costing just a few dollars (or pounds) per month. I’m not going to insult your intelligence by comparing the price of a VPN to an expensive Coffee, but let’s just say, VPN services cost less and you get a lot more for your money than you would with a coffee, plus it lasts the entire month. Above are my five favourite Firefox VPN extensions but my overall choice is definitely ExpressVPN. It doesn’t really matter which you end up choosing as the five above all offer good value for money and most importantly, a decent service. Installing a VPN plugin on Firefox is actually really simple. You’ll first need to sign up for one of the VPN providers above. You can do that by clicking the orange link under each provider’s round-up above. Then complete the sign-up process. Once you’ve signed up visit the Firefox Add-on page. Here you can search for your VPN provider and install the VPN extension directly into your Firefox browser. Simply click the VPN provider’s logo in the top-right corner of Firefox where you’ll be able to connect to a server of your choice. If you’re looking for a Firefox VPN extension or Firefox VPN plugin and you’re confused then don’t worry, you’re not alone. 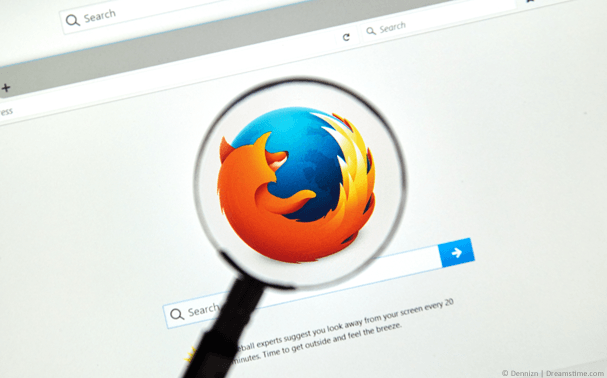 With hundreds of VPN companies out there and not all offering Firefox VPN extensions it can be difficult to know where to start. Without question my favourite Firefox VPN extension right now is ExpressVPN. I like the simplicity of their Firefox VPN add-on plus you get the added bonus of a no-log proven service and all the other benefits that come with it. If you don’t like the sound of ExpressVPN then you’ve got 4 other good options to choose from. Don’t stress too much over it, the 5 listed above are all good choices, just select one and enjoy the protection they offer.